The Sweetwater Rotary club has had the honor of being the Home Club of our 26th District Governor, Charles Paxton , our 39th District Governor, Rigdon Edwards , our 54th District Governor, W.W. Pyeatt, and our 94th District Governor, César M. Caro. César M. Caro (2010-2011) - moved from Puerto Rico to Sweetwater in 1989. César has an under-graduate degree of Arts in English Literature from The University of Puerto Rico, Mayaguez Campus and a graduate degree of Science in Occupational Technology from the University of Houston in Texas. César retired from the US Army as a Captain. He attended the US Army Armor School and the US Army Airborne School. From 1989 to 2007 he worked as an Associate Professor and Computer Division Chair at the local college. Retired from Ludlum Measurements as the Shipping Manager. César participated in two Group Study Exchanges to Brazil. He has served as Club President, Club Secretary, District Assistant Governor, District Lieutenant Governor, Group Study Exchange Committee Chair, District Governor Nomination Committee, Texas Lone Star PETS Discussion Leader, Texas Lone Star PETS Board Member, Multi-District Training Board Member, Paul Harris Society District Coordinator, Vice Governor, District Web Administrator, and District Secretary. He is a Multiple Paul Harris Fellow, a Foundation Level II Major Donor, a Foundation Benefactor, a Foundation Level II Bequest Society Member, a White Hat Society Member and a charter member of the District Paul Harris Society. 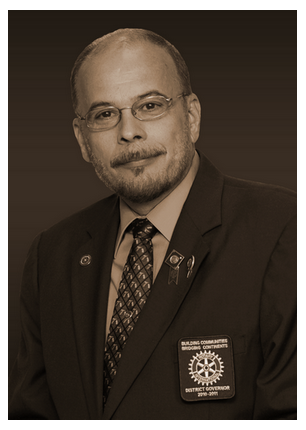 César is also member of the Global Rotary History Fellowship, The Past District Governor Fellowship, and a Rotary Leadership Institute trainer. He has received the District 5730 Paige Carruth Statesman Award, The Rotary Foundation District Service Award and Rotary International’s highest award, The Service Above Self Award. César's Rotary humanitarian work includes yearly trips to Creel, Mexico to distribute toys, clothes, school supplies, vitamins, and food to the Tarahumara children and their families. He stressed the importance of sharing and in assisting in the local communities and in helping around the world. 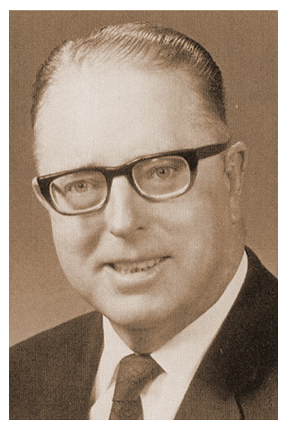 W.W. "Woody" Pyeatt (1970 - 1971) - moved to Sweetwater in 1956 and was a partner in the Coker Gasoline Company. He sold the gasoline plant in 1968 and became involved with Ludlum Measurements, a manufacturer of radiation detection devices and served as district 573 14th governor. Woody was active in many civic endeavors in Sweetwater, serving as president of the school board, the PTA, the United Fund, and the Chamber of Commerce. He was Western District Chairman of the Chilsolm Trail Council, Boy Scouts of America and was active in his church, serving in many capacities in the First Presbyterian Church of Sweetwater. He stressed the need for membership growth, attendance, and participation in the activities of Rotary district-wide. 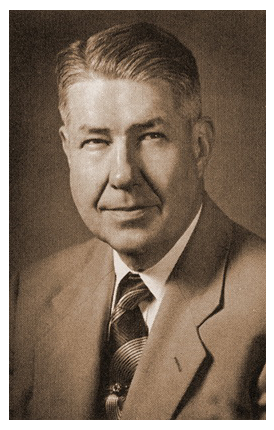 Rigdon Edwards (1955 - 1956) - an oil products wholesaler of Sweetwater, served District 183 as its seventh governor. 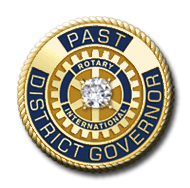 Rigdon's principal emphasis this year was on the maintenance of the impetus which the district had gained through the enthusiasm generated in observing Rotary's Golden Anniversary the preceding year; and in particular to prevent tendencies to let down in attendance, and to promote the extension of Rotary membership. Foundation and magazine subscription support, the importance of good fellowship within clubs, and better Rotary Information through "Forums at the Club Level" were also stressed. 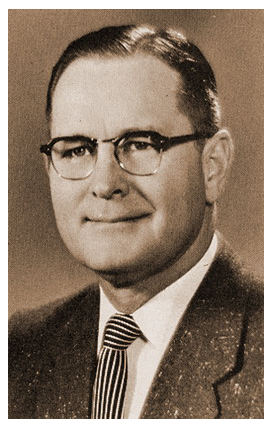 Charles E. Paxton (1942 - 1943) - a petroleum refiner of Sweetwater, served district 127 as its sixth governor. Subsequently RI honored him with membership on its Extension Committee. Charles placed particular emphasis on the continued functioning of all clubs, several of which had indicated to him that rationing, especially food rationing which had forced the closing of some eating places which had served the clubs, and other war time problems had compelled them to consider surrendering their charters.